This new feature is called Face Recognition. This will automatically be switched on if you have allowed tagging on your Facebook setting. This is not something completely new on Facebook. They have been doing this for a long time. 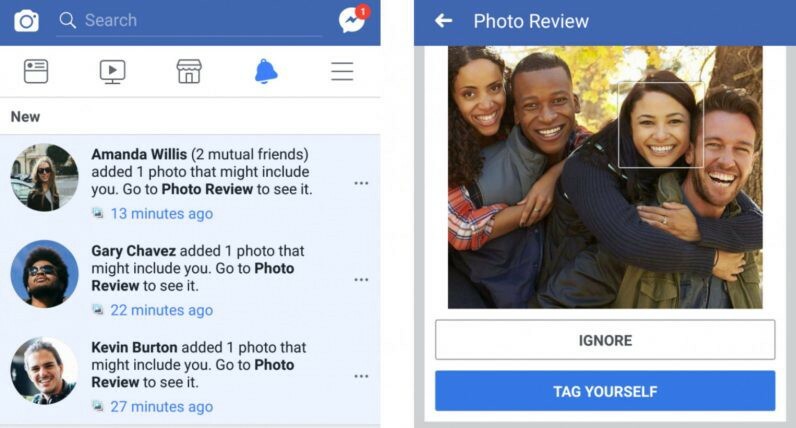 Facebook want to make it easier for you or your kids to tag their friends and family in photos. The easy tagging method makes liking and commenting easier on Facebook. 2. New : To alert your kids that their photo have been uploaded even if they have not been tagged in it. Facebook will send your kids a notification saying that there is an image that ‘might include you’. Your kids then have the option to tag themselves. With increasing trolls and online bullying sometimes it may be a good idea for your kids to know if their photos have been distributed or used. Your kids can also know who have uploaded their photo on Facebook. Also, if there is an imagine your kids might not be comfortable being uploaded this can help prevent that. 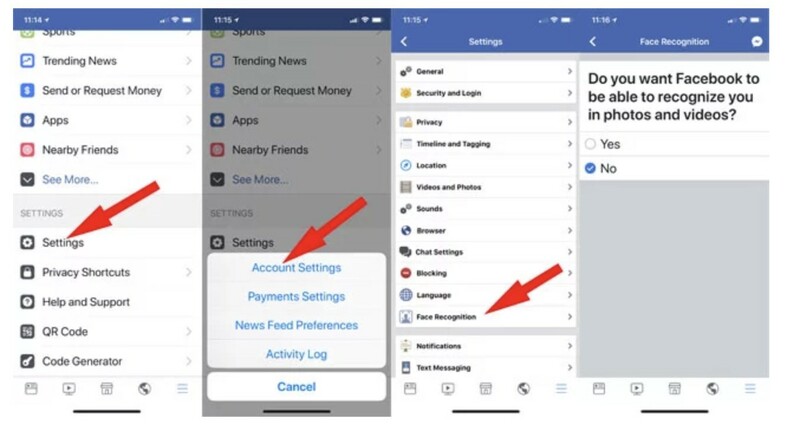 However, if your kids are not friends with the person who uploaded their picture or the person have kept their setting to be Private then your kids will not be notified of their photo being uploaded. This is to prevent other people from using your photo or impersonating you. This can help prevent fake Facebook accounts. 1. Your kids will not be notified of a tag unless they are friends with the person who uploaded the picture. For ex, Your kids will not get notified if a friend posted a picture from a birthday party to their private account unless they are already friends. This also means that if your kids are subjected to online bullying or troll they will not be notified unless they are already friends with that person. 2. 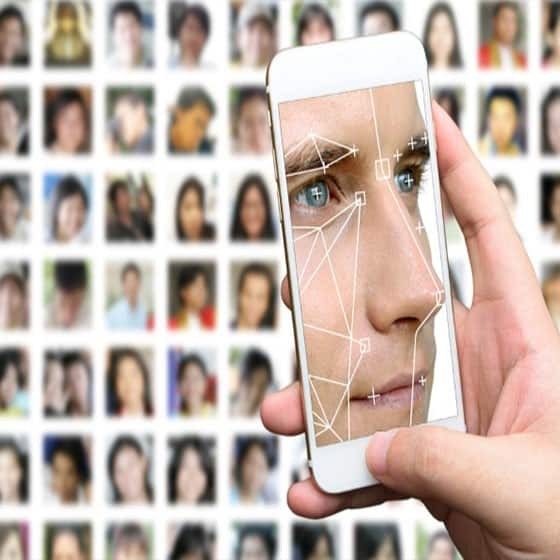 With all the data scandal surrounding Facebook recently, do we really want to give out more information about ourselves to Facebook? This is something parents should decide. How comfortable are you with Facebook having this information about your kids? Personally, I would switch this setting off on my kids Facebook account. Here are 5 simple ways to keep your kids safe on Facebook. I am not very certain how far Facebook will use the Face recognition feature. Although Facebook have said that their respects peoples privacy. Currently this feature is not implemented in Europe and Canada due to regulations on collecting this kind of data. 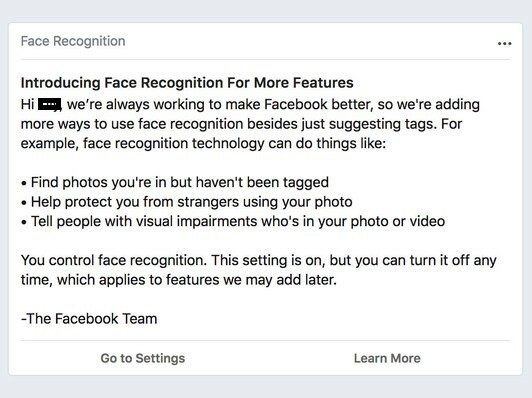 Even in the US, Facebook is still under fire for collecting biometric information.